"Good beginning to 2016", "Finally, HOPE", "The best decision" and "Welcome move" are some of the expressions that the members of the film fraternity like Madhur Bhandarkar, Anupam Kher, Kabir Bedi and Rahul Dholakia used to hail the decision by the government to form a committee headed by acclaimed filmmaker Shyam Benegal to revamp Central Board of Film Certification (CBFC). 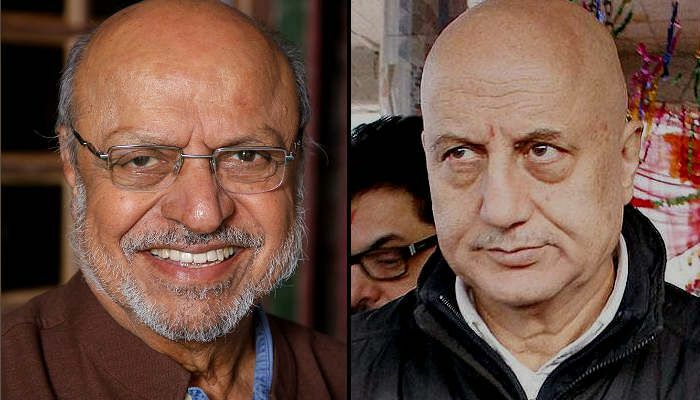 Benegal was on Friday appointed to lead a committee to recommend a holistic framework for the country's film censor board and to suggest changes in the Cinematograph Act, so that artistic creativity and freedom are not curtailed. The committee has been formed upon Prime Minister Narendra Modi's intervention in the growing issue related to the CBFC. "Welcome move by @PMOIndia and @arunjaitley ji to appoint noted film maker #ShyamBenegal ji as head of Censor Board revamp panel.#CBFC". Benegal is a Dadasaheb Phalke Award winner, and is credited with films like Ankur (1973), Nishant (1975), Manthan (1976) and Bhumika (1977). "The censor board to be manthanized by #ShyamBenegal! Good beginning to 2016". Kabir Khan welcomed the "good news" by saying that with the appointment comes a ray of hope towards breaking out of the shackles of the censor board. Anupam Kher also called the move as "the best decision". The country's censor board has often faced flak from the society for running its invisible scissors from issuing diktat of cutting short a kissing scene of James Bond film Spectre. "My best wishes to Shyam Babu. I suspect he will eventually have to deal with Hindutva and Sanskar both." "CensorRevamp panel is not a committee. It's to abolish censorship. Forget Modi, it's good for us". Actress and BJP member Vani Tripathi Tikoo feels "Artistic creativity and freedom should not get curtailed, people tasked with the work of certification should understand these nuances #CBFC", while filmmaker Ashoke Pandit also lauded the decision. Wazir director Bejoy Nambiar has also hailed the decision. "I think that's a great decision. Benegal sir is someone we all look up to as a filmmaker, I know that having him revamp the board itself is a big step in the right way and the right direction," Nambiar said. "I'm really looking forward to things changing because it's high time we take the censor board a bit more seriously than the way it's been handled in the last couple of months. I'm really forward to what will happen in the future," he added.